There are no comments for 0751 St. Peter's Basilica. Click here to post the first comment. 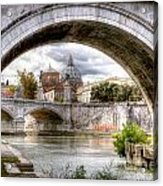 This is a view of the Vatican's St. Peter's Basilica from the shore of the Tiber River and shooting through the archway of one of the bridges along the river. 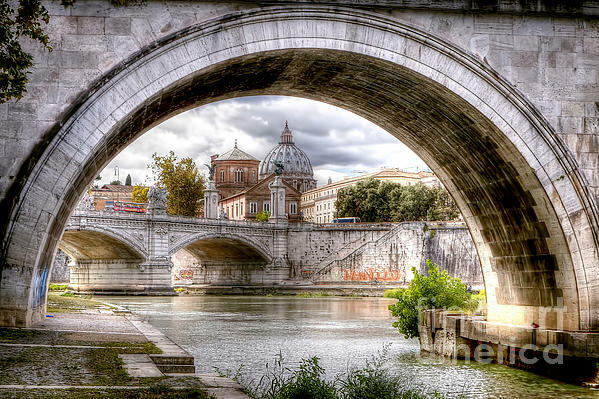 This print was processed as a High Dynamic Range (HDR) photo in Photomatix.